Board Amtrak’s Downeaster and travel car-free through various coastal towns and cities all while experiencing local cuisine, shopping, heritage and culture. This getaway includes a five-day New England experience, visiting towns in New Hampshire and Maine. You will enjoy classic Northeastern fare while getting all of the history and beauty of the area. 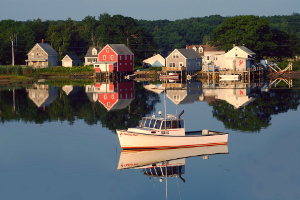 Let Downeaster Travel Packages help you book an unforgettable getaway! *Prices are per person double occupancy and based on availability. Package inclusions may not be available year-round therefore substitutions may be made. Prices based on midweek departures and subject to change.